In 1995 Janne started to spin records and chose the DJ name he still carries. Burdock is a plant that catches you with it's spikes and hooks. As a DJ he does the same. 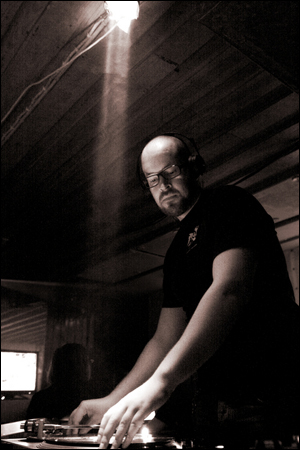 DJ Burdock has deejayed all over Finland and also in Estonia, USA, Cyprus and Russia. He was also a resident DJ of a legendary club night called Butane in Turku, Finland. With over 10 years of deejaying experience he has a large collection of electronic music. His sound varies from minimal to funky techno and from fresh sounds to old school. Abroad he is mostly known for his former website project called Betoni, which also gave him the possibility to be known enough to play records abroad. Janne also got his first release out on X-Rust's record label in 2004. The freshest and most intriguing project he is now involved in is the Acid Symphony Orchestra of Jori Hulkkonen, where Janne plays one of the Roland 303's.